International suppliers’ exhibition for the following industries: hospitality, bars, discotheques and spas. Exhibition o: food, drink, linens, household goods, equipment, illumination, crockery, glassware, furniture, technology, services and much more. Ethnical, non-alcoholic beverages, meat and poultry products, beer, wines and spirits, specialties, bakery, seafood, desserts, canned products, dried products, seasonings and dressings. Cutlery, kitchen equipment, table linen, refrigeration, tableware, entertainment, bars, energy savings, franchises, and pest control. Spas, pools, bathrooms, linen, mattresses, gyms, illumination, gardens, furniture, disposable products, security, uniforms, telephony, decoration, video and sound. Annual income: $60 Million dollars approximately. 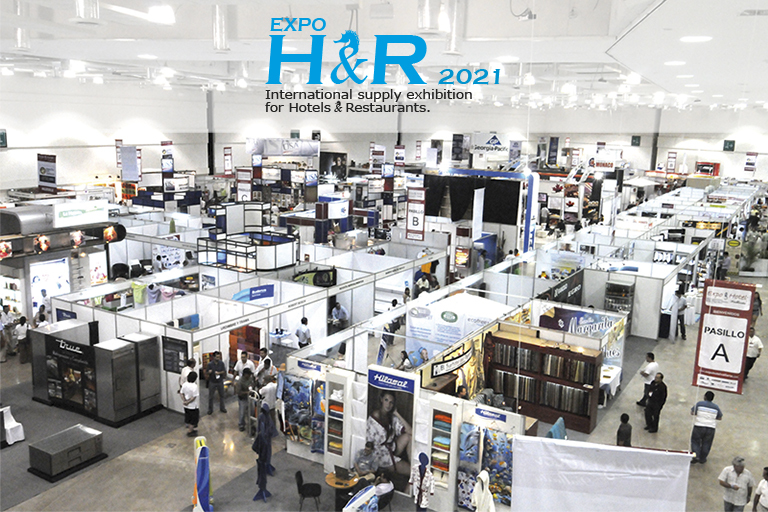 Special events: Business meetings, Gastronomic Demonstration, Cocktail contest, Lecture program, Technical-commercial presentations, Housekeeper contest. Provenance: 40% Jalisco – 48% Nayarit, Colima, Guerrero, North and South California, Sinaloa, Queretaro, Guanajuato, Michoacan, and 12% international. Sectors: 40% restaurants and cafeterias – 29% grand tourer and 5 stars – 6% fast food – 5% 4 and 3 stars hotels and timeshare, 5% schools and universities – 2% Government institutions and rehabilitation centers – 8% other sectors. Scale: 36% owners and members – 18% Directors – 10% Establishment manager – 10% purchasing manager – 4% food and beverages manager – 4% executive chefs – 18% others. Budget: $80,000.00 USD (average inversion per visitor).